Mil-Spec Packaging makes all types of wood shipping containers sizes meeting all military and industry specifications. 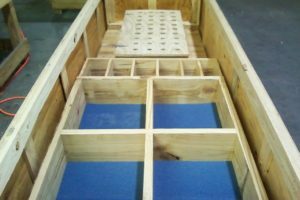 Skids, wood boxes and shipping crates sized, shaped and cushioned to protect your product during transport and storage. We will work to drawings or fit to product specification. Certifiable for Export Overseas, UN-HazMat, and Military Specs in accordance with ISPM15. Wood crates are often used to import/export. Mil-Spec Packaging knows the required military specifications needed for Import and exports. You name the specifications and we know how to deal with it. The products that require us to meet these specifications will have our own label and number or that of one of our partners. Mil-Spec Packaging creates custom wooden shipping containers to meet any requirements. We can handle the smallest of projects like high tech electrical components being shipped overseas. To the biggest of projects like F22 Wing Raptor jet containers and 13-ton fire suppression tanks. Specialty onsite crating and packaging services are among the many services offered, to learn more about our capabilities contact us. Federal Specification for Lite Duty Panelboard Boxes, Wood, Cleated Plywood Crates superseded by ASTM-D-6251 but still commonly referenced. Military Specification – Boxes, Wood Cleated, Skidded, Load-Bearing Base. Medium Duty panelboard sheathed wood shipping containers. Primarily used for loads of less than 2500lbs. Superseded by ASTM-D-6256, but still commonly referenced. Medium Duty panelboard sheathed wood shipping containers. Primarily used for loads of less than 2500lbs. Capacities are based on a combination of standard specifications and common industry practices. 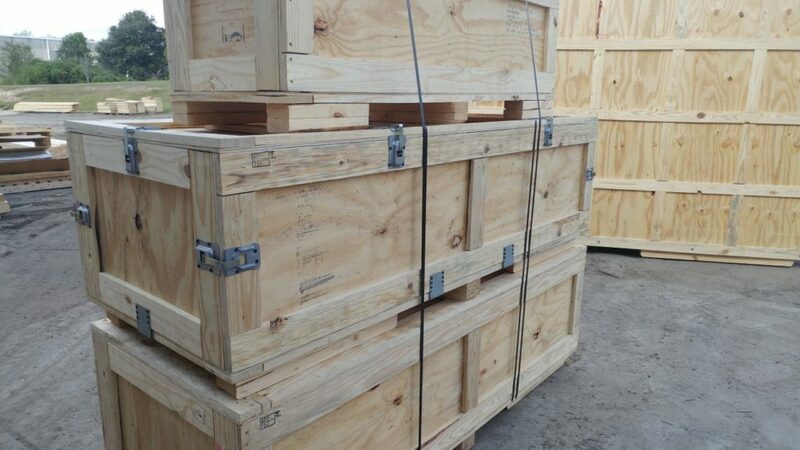 Military Specification: Common rigid wood shipping containers / Crates. Primarily used for loads of greater than 2500# / 1100K and higher than 48" / 1200 mm. Typically will not exceed 20' / 6000 mm in length and a width not to exceed that dictated by common transport methods. Capacities are based on a combination of standard specifications and common industry practices. Mil-C-104 was recently superseded by ASTM-D-7478, but is still commonly referenced. Common rigid wood shipping containers / Crates. Primarily used for loads of greater than 2500# / 1100K and higher than 48" / 1200 mm. Typically will not exceed 20' / 6000 mm in length and a width not to exceed that dictated by common transport methods. Capacities are based on a combination of standard specifications and common industry practices.